It’s winter time, the harsh weather for the skin. Low humidity and dry chilled air steals the moisture away from the skin leaving it chapped and unhealthy. Skin needs special care regimen to stay moist and youthful throughout the cold months. Lightly scratch your skin. If it turns white, that means your skin is dry or else it is moisturized. Those suffering from dry skin, try out these simple home tips and keep your skin beautifully soft and supple in cold season too. 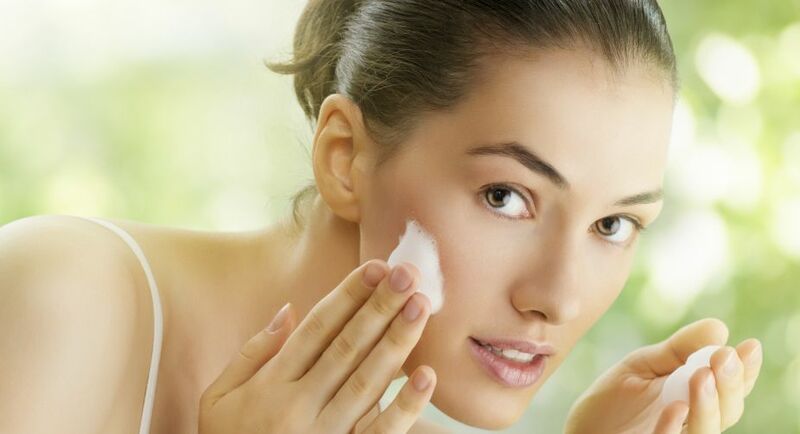 In winters, your skin needs extra hydration not only from outside but from inside as well. It can be done by taking necessary diet full of fruits and vegetables having lots of water content. Try to add vitamin A and vitamin E rich foods in your meal plan. Drink plenty of water, fresh juices and healthy drinks in your daily routine. Hot water baths take out the moisture from the skin. Avoid them. Take bath with lukewarm water and protect your skin from unnecessary dryness. Wear clothes that cover most of your body. The skin exposed to cold air dries and chaps easily. Apply a natural moisturizer like glycerine, coconut oil, olive oil, almond oil or castor oil on your whole body immediately after having bath. Natural gel directly extracted from aloe Vera leaf if applied for half an hour before bath also moisturize the skin from deep inside, leaving it smooth and vibrant. Do not use chemical moisturizers and make up products having alcohol content. Do not apply heavy make-up. They block the pores of the skin. Exfoliate your skin with vitamin C rich lemon juice. The citric acid in the juice will remove the dryness as well as the darkness often caused by sun during winter. It will also renew the skin cells making it glow. Apply some home-made packs which provide wonderful remedy for dry skin. Soaked almond paste combined with raw milk, lemon juice and gram flour; oatmeal paste combined with lemon juice; ripe papaya paste and buttermilk face packs are perfect for winter glow. Avoid scrubs if you have acne problem. Avoid eating fried, sugary and junk foods. If your skin is not treated for a long time in winters, it can cause more severe skin problems. A wide array of winter skincare products is available in the market, but some may not suit your skin. So, try these home cures and keep your skin moisturized and glowing throughout the winter season.